Information on courses and workshops I run for photographers; Both Professional Photographers & those new to the industry. Please email me if you are Interested in our next one. DATES for our next one of these ARE YET TO BE ANNOUNCED. I offer One to One Training focusing on the subjects you would like to cover. I cover everything from studio lighting, location lighting, workflow, business including pricing & contracts, getting to grips with your Nikon Camera, and lots more. Contact me with your requirements & I'll tailor a session just for you. The above package includes 3 hours in my studio (Post code: S36 2UH). If you require something different, just ask. Here are a few photos from our 'All About Weddings' Workshop. 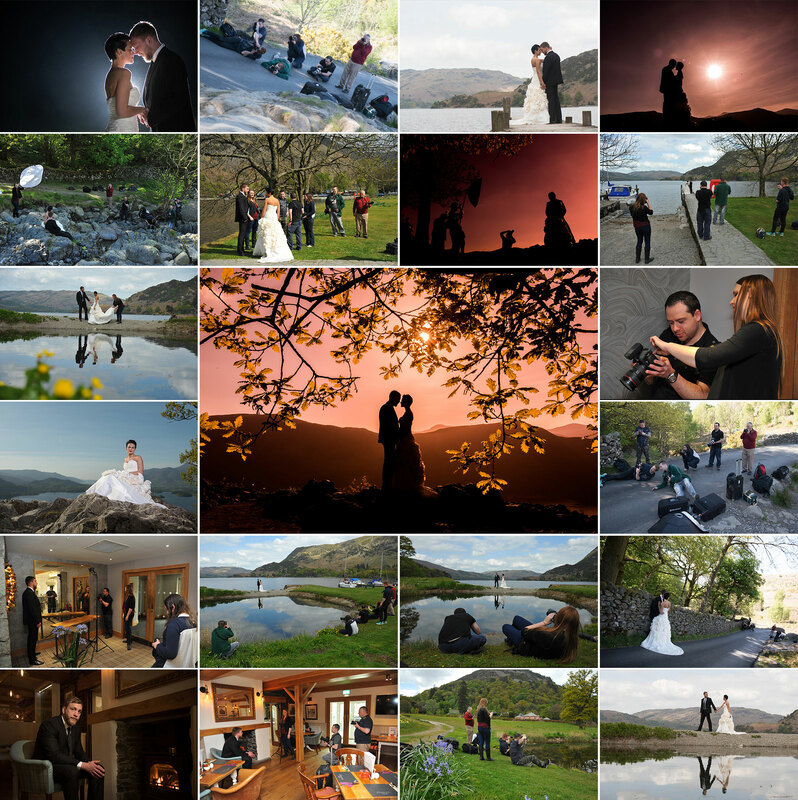 These are some of the behind the scenes photos from our Lake District Adventure Workshop.